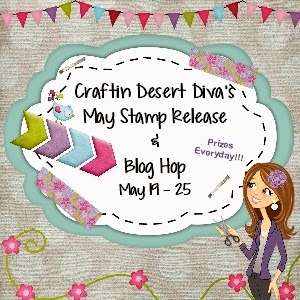 Craftin Desert Divas Blog: Wanna Win??? I wanted to remind you that our Facebook co-hop is happening this weekend!! 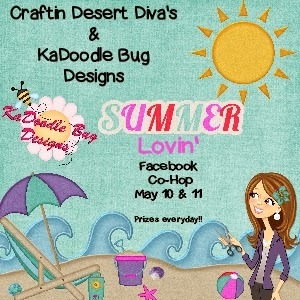 Also, starting Friday 5/9 we are going to be hosting a few games in the Craftin Desert Diva's Gallery. You can join here. We will be giving away stamps and free KBD pattern of winners choice. WooHoo!! Would love to play along but I do not have a Facebook account. I tried to add your release and hop badge for the 5/19-25 but it wouldn't work. I'll try again once you have one added to your sidebar. May Release Sneak Peeks Day 1 - Destination Fun!